CA Application Performance Management (CA APM) provides customers with a 360-degree view of the end-user experience by linking transactions to the underlying infrastructure across complex physical, virtual, mobile, cloud and mainframe environments. This helps provide the flawless user experience required in today’s user-centric app economy. 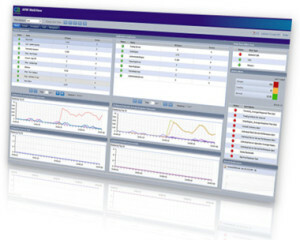 CA APM integrates with CA Mobile App Analytics to provide a true mobile-to-mainframe offering. With this Mobile APM solution, IT operations teams can investigate where issues reside across the end-to-end mobile app infrastructure so that they can be fixed quickly. Instead of having to re-create application issues or having the administrative burden and cost of monitoring every single transaction, Smart Instrumentation automatically collects transaction traces when a problem occurs. It gives you deep diagnostic information about the transaction error automatically so you can better triage the problem. With Smart Instrumentation, the system learns what transactions are most important to your business. It begins to trace anything that takes too long, or has errors, or stalled transactions. It does this without you having to do anything, although you can customize it as needed. The built-in Application Behavior Analytics™ feature helps jump-start troubleshooting by automatically scanning performance metrics to help find potential problems before end-users are impacted. CA Technologies offers this intelligence in the core product with additional context to help customers more quickly determine if a suspect behavior really requires immediate attention. CA APM is uniquely architected to run with low overhead in the largest and most complex IT environments, scaling seamlessly to manage billions of transactions. The APM Command Center provides simple management of thousands of agents at enterprise-class scale. In addition, CA APM is part of a portfolio of tools that provides a comprehensive, unified understanding of how applications and infrastructure deliver business services across physical, virtual, cloud and mainframe environments. A catalyst for DevOps to fuel collaboration across the organization by providing a common vocabulary to analyze performance data, thereby instilling continuous performance improvements at every stage of the software lifecycle. APM Command Center provides simple management of thousands of agents at enterprise-class scale. Mobile-to-mainframe APM gives you 20/20 insight into the complexity of your app, from the mobile app, into the middleware/infrastructure components, to the backend database or mainframe. Smart instrumentation automatically collects deep transaction traces when a problem occurs so users don’t have to re-create the issue. One-click, role-relevant notifications enable better communication between specialists to resolve problems faster. PHP, Node.JS, Java, .Net, MongoDB and FUSE support enables management across a broad range of Tier 1/2/3 apps. Application Behavior Analytics learns the relationships between application components and performance metrics to identify performance issues and eliminate guesswork. Proactive cloud monitoring provides end-to-end transaction response-time visibility into cloud, mobile and enterprise web applications. Troubleshoot faster: CA APM can reduce the frequency and duration of outages by helping you find problems more quickly. Boost IT productivity: CA APM provides tools that help IT avoid expensive and time-consuming war-room approaches to problem resolution. Get control of the end-user experience: Through proactive performance data analysis and smart instrumentation, CA APM helps preempt developing issues that impact user experience.